Books have gotten me in trouble many times. I used to get so engrossed in a book (especially at lunch times when I’d hide away in the library and devour whatever book looked good) that I’d want to carry on reading, despite those pesky lessons. I was rarely caught, until one day in science (a lesson after lunch, so it was to be expected) my teacher caught me reading What Katie Did on my lap. You can get book shaped covers for your MacBook or iPad, or clutches from ASOS in mint or blue (just Â£25!). On the more expensive end of the scale, this Olympia le Tan Alcoholics Anonymous is Â£1069. 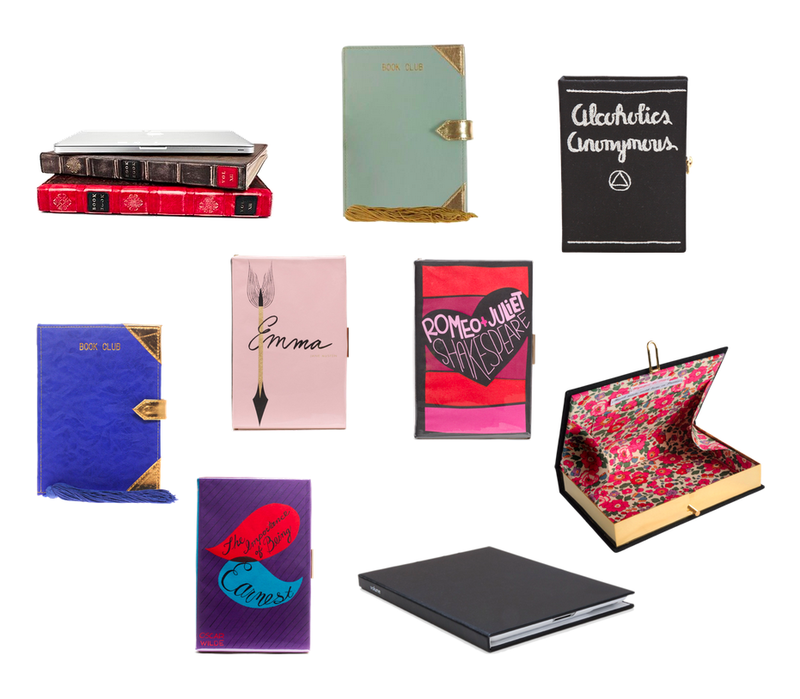 Falling somewhere in the middle (ish) are these cute Kate Spade book clutches with covers such as Emma, Romeo and Juliet or The Importance of Being Earnest for $325. I LOVE the mint clutch bag but I haven’t been able to justify it with moving house…next month! I have the blue asos one – it’s awesome! One day I’d love an Olympia le Tan, but that is somewhat of a far away dream!